Our family loves Banana Nut Bread. In fact, I just pulled two loaves out of the oven; one for our family and the other for my Dad. Both of our families are looking for healthier alternatives to our favorites, and it is a must for my Dad, as he recently underwent emergency heart surgery, even though he had no symptoms or underlying health conditions that even alerted us to his problems! One of our mutual faves is Banana Nut Bread. 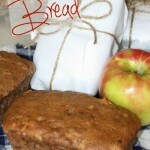 The tastiest recipe for Banana Bread is the one I found on Money Saving Mom’s website. 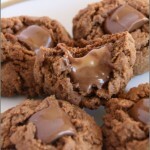 It is really yummy, but I needed to make some healthier substitutions for some of the ingredients. Add bananas and wet ingredients to your mixer and let it mix while you whisk together the dry ingredients. Grease your loaf pan with coconut oil. Slowly add dry ingredients to the wet ones in your mixer, scraping the sides of the bowl as needed. Stir in toasted pecans. Add mixture to loaf pan, and bake at 350 degrees for 1 hour and 15 minutes, (or until toothpick inserted into the bread comes out clean… 1 hour, 15 minutes is exact for my oven.). I set my timer and turn the pan at 30 minute intervals. Cool in pan for 10 minutes and then transfer to a wire rack. Tropical Traditions is committed to time-honored traditional practices that have produced healthy coconut oil for hundreds, if not thousands of years. 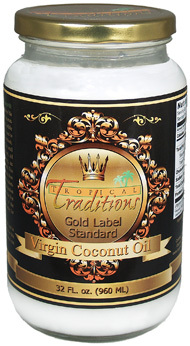 Their enhanced Virgin Coconut Oil is now in the US market under the Tropical Traditions Gold Label brand. It meets their strictest standards to earn this designation. Today when you buy Tropical Traditions Gold Label Virgin Coconut Oil, you are buying the highest quality coconut oil they have to offer. More about Tropical Traditions. In addition to making the above Banana Nut Bread, I have used the coconut oil to fry pork chops and make pie crust… all with no coconut-y taste. If you are looking for other ways to incorporate coconut into your cooking, check out their Free Coconut Recipe page. If you ever have any questions or need help with your order, be sure to check out their Customer Service help page. Plus, through Thursday, April 7th, you can get Buy 1 Get 1 Free 32 oz Coconut Oil! If this is your first online purchase with Tropical Traditions, you can snag a free copy of their Virgin Coconut Oil book. Be sure when you check out, to choose “Referred by a Friend” and enter User ID: 7255567, and the book will be automatically added to your order. This giveaway is closed. Tropical Traditions has generously offered one of my readers a 32 oz. jar of Gold Label Virgin Coconut Oil. 1. Leave a comment. What healthier food changes are you making? 1. Subscribe to Tropical Traditions Email Newsletter. Be sure to leave a comment letting me know you have done so. 3. Follow Tropical Traditions on Twitter. Make sure you come back and leave a commentletting me know you have done so. This giveaway will close on Friday (4/8) at 8 pm CST. The winner will be chosen by And The Winner Is… Plugin and notified via email. Disclosure: I received one (1) 32 oz. jar of Tropical Traditions Gold Label Virgin Coconut Oil to review. Once a winner is chosen, their information will be passed along to our sponsor for prize fulfillment. As always, all thoughts and opinions belong to me. Tropical Traditions provided me with a free sample of this product to review, and I was under no obligation to review it if I so chose. Nor was I under any obligation to write a positive review or sponsor a product giveaway in return for the free product. 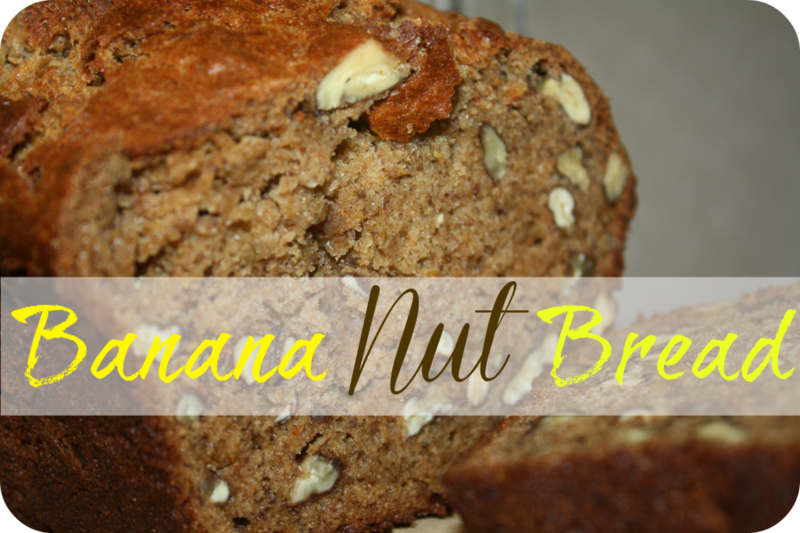 Share the post "Banana Nut Bread Recipe"
I have not heard of the benefits of coconut oil until now. Our family is making a huge effort to drink more water (first think when we wake up and all day long), we are eating more raw veggies and fruits with meals, and adding supplements to our daily routine….so this was timely information for me to encounter. Thank you! I just subscribed to the Tropical Traditions newsletter. I enjoyed reading their story. I love knowing that when I buy their products I’m helping farmers in the Philippines continue the farming practices of their grandparents! :) I also noticed the organic peanut butter line and plan to try their coconut peanut butter! only 2 ingredients…peanuts and coconuts! love it! I have switched over to coconut oil for lots of my cooking needs over the past few months. I currently purchase the Louana brand coconut oil from walmart as this is the only readly avaliable brand I have been able to find. I am very interested in a more pure brand to incorporate into my cooking I did go and subscribe to their newsletter and receive your updates via email. We are trying to eat healthy on a budget and that means doing a lot of gardening! I am getting really itchy to get out there and plant something but it’s still too cold and wet here. Can’t wait! our family is trying to watch our portion sizes. we’ve also gone to whole wheat pasta (because we have to have our pasta) and we drink a TON of water. baby steps. i just subscribed to the tropical traditions email newsletter. What an awesome giveaway! We are currently transitioning to gluten, dairy, and soy-free, and of course attempting to eat much more “organic”! 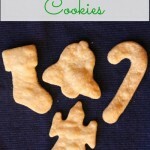 I have so many family-favorite recipes that I am looking forward to tweaking to fit our new diet as well! I am a subscriber here! I just signed up for Tropical Traditions newsletter! And I already follow them on Twitter! I receive your emails too! Would like to try the coconut oil. My family is trying to eat more veggies and have a salad every day! We are gluten, dairy, and soy-free. We are living healthier by not eating so late and not as many sweets. We are moving to all whole grains and using more flours than just wheat all the time! We try to use at least half wheat flour in most things we make. We also make 100% whole wheat bread for sandwiches – yummy! i am now following tropical traditions on twitter. We are trying to not eat as many processed foods–cooking from scratch more and using food we grow ourselves. I “have successfully subscribed to our Sales Newsletter”; FeedBurner has sent me notice that my “Email Subscription Confirmed” for Amy Loves It! ; I now “Like” you on FaceBook and finally, I am now following Tropical Traditions on Twitter (I created an account, user name MichelHig, just for this…..Please, Please, Please pick me!). PHEW! now on to business! I’m totally committed to creating a more healthy lifestyle for me, my family and friends. I’ve lost 50 pounds and I plan to keep it off, to reduce my cholesterol and, in general, live a more clean and natural life. There is a Raw Culinary School, 105 Degrees, the only raw culinary school in the Nation (yes, they are in Oklahoma and I live in California). So, I went there to take one of their classes, “Working With Young Coconuts”. I learned SO MUCH from that class about the health and beauty benefits of the coconut’s water, oil and meat. I’m going back in November for another class. Additionally, I am doing a lot of online research, which is how I ran across Tropical Traditions Coconut Oil (I’m totally excited to try it). Although I will probably not end up eating totally Raw, I’m going to incorporate these principles into my regular diet for their benefits. I’ve entered and am following you and Tropical Traditions on Twitter and Facebook. I started cooking with coconut oil, stopped drinking cow milk and started drinking almond and coconut milk.